The chieftain calls forth our warriors. A rich port to the West has caught his eye. A swift longship waits for us upon the shore. Be equipped with your best weaponry and armour. 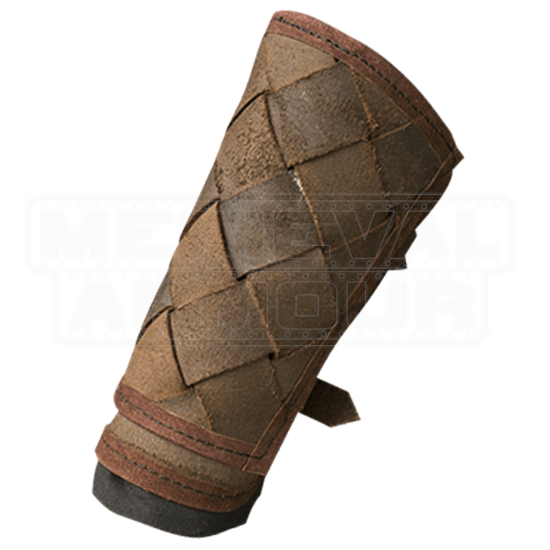 Reinforce your forearms with the RFB Viking Bracers. Chrome-tanned leather bands form a diagonal weave pattern on the outer segment. An inner segment and stitched edging strengthens each arm guards defensive capability. Fit these bracers comfortably and securely over padding with the two adjustable straps on the inner side. 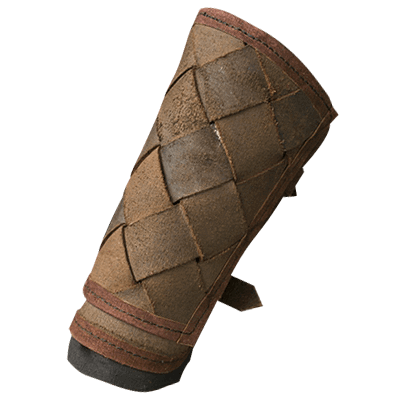 Rage into your next LARP event in full character by combining the RFB Viking Bracers with the RFB Viking Greaves.